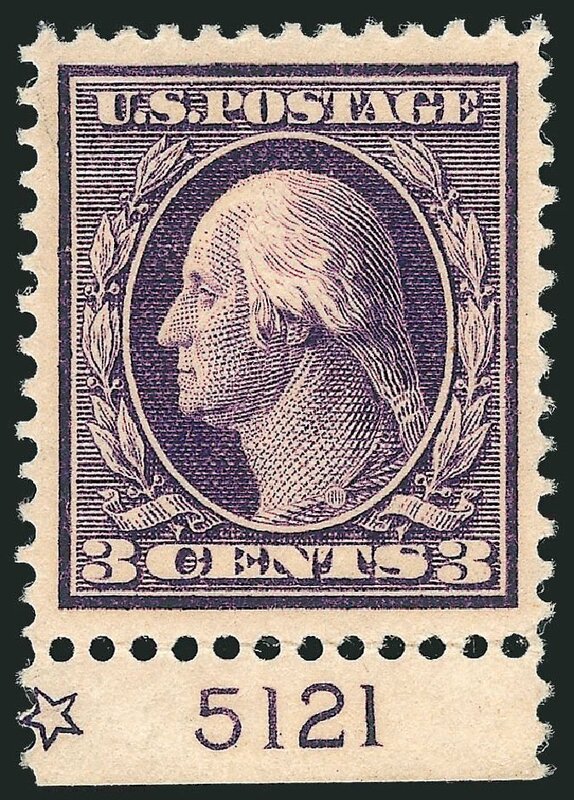 1909, 3¢ deep violet, grayish paper (Scott 333 var. 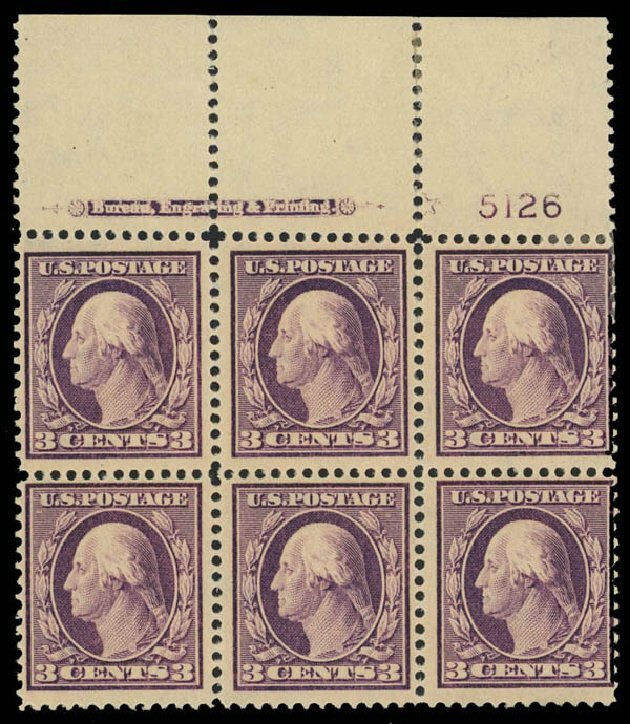 ), o.g., hinge remnant, lovely example with bold prooflike color, a lovely example of this tough stamp, Fine to Very Fine, 2014 P.F. certificate. Estimate $300 – 400. 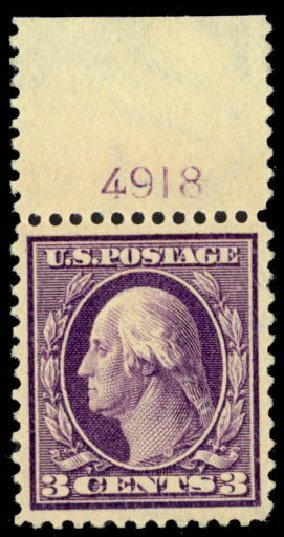 USA (Scott 333) 1908 WASHINGTON 3? 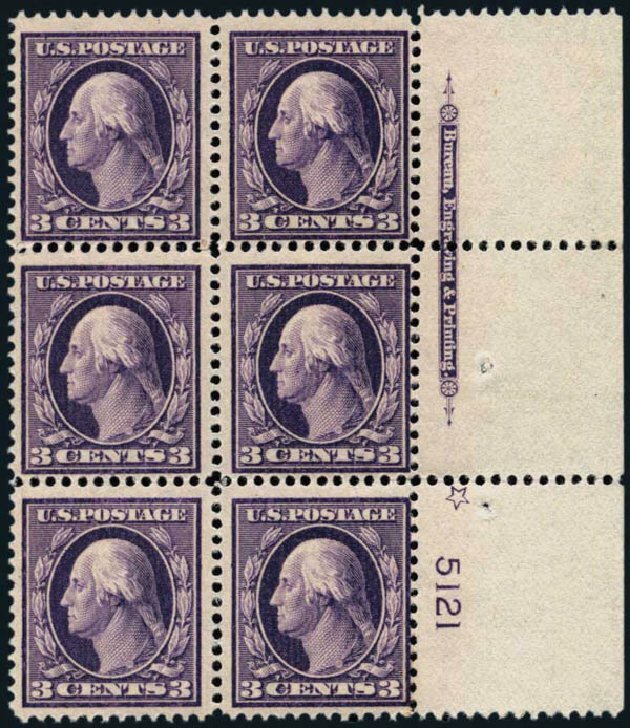 DEEP VIOLET (TOP PLATE) Pretty top plate block of 6, plate #5131, with star, wide top selvage and rich color. Original gum, light hinge, fine to very fine. Cat $400. 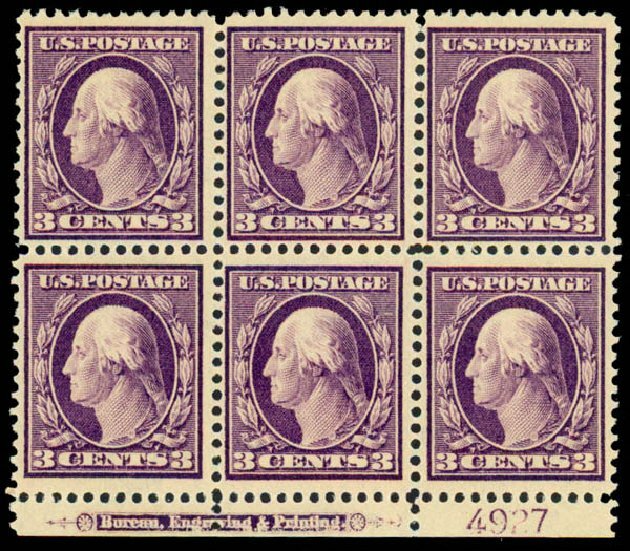 U.S.; General Issues, 1908, 3¢ Deep Violet, Plate Block of 6, #333. 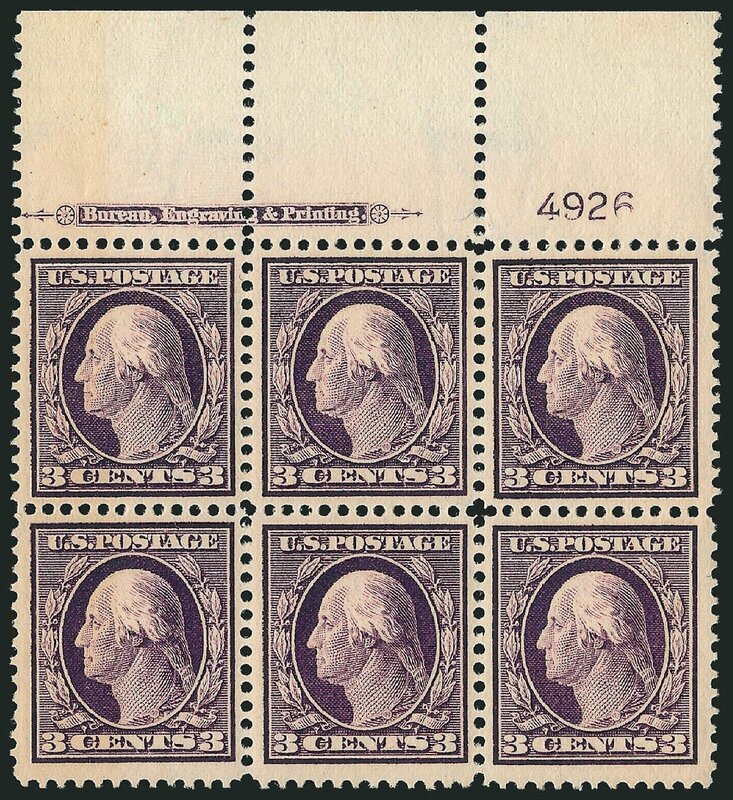 N.h., large side #5121, Fine to Very Fine. Scott $650. Estimate value $200-220. 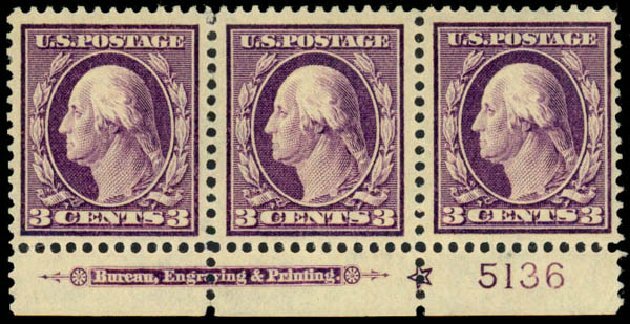 1908, 3¢ deep violet (333), bottom plate number and imprint strip of 3, o.g., never hinged, premium quality multiple, with lively bright color, Very Fine. Scott $225 for singles. Estimate $150 – 200. 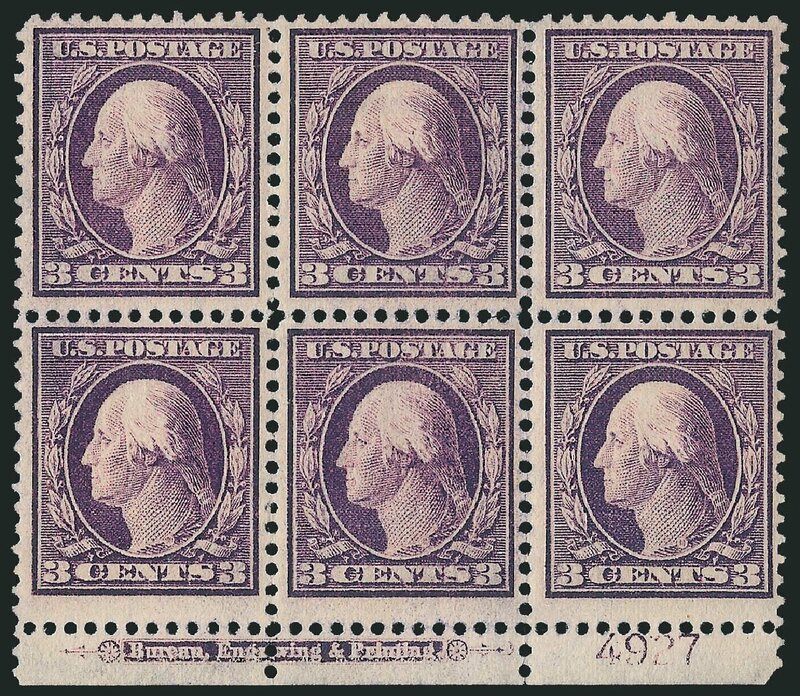 1908, 3¢ deep violet (333), bottom plate block of 6, o.g., never hinged, wonderfully fresh example with lively bright color, Fine to Very Fine, 2006 P.F. certificate. 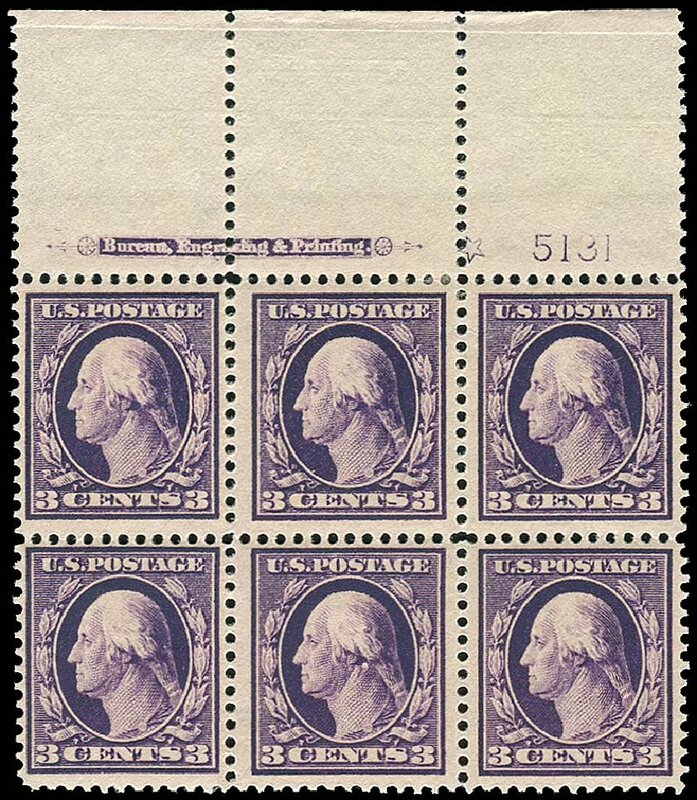 Scott $600. Estimate $400 – 600. 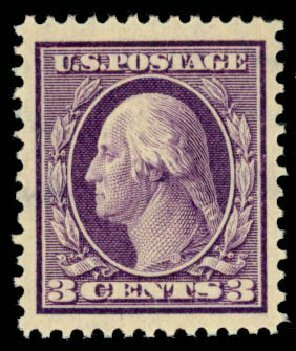 1908, 3¢ deep violet (Scott 333), top plate number single, o.g., never hinged, extraordinary showpiece with breathtaking color on bright white paper, a perfectly centered GEM, Superb. Scott $75. Estimate price $200 – 300. 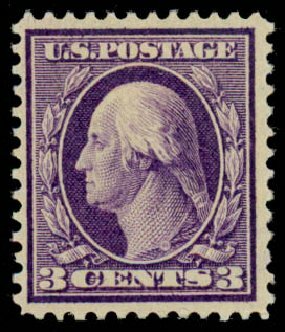 1908, 3¢ deep violet (Scott 333), o.g., never hinged, extraordinary example with huge margins and breathtaking rich color, a matchless GEM, Extremely Fine to Superb, 2009 P.S.E. certificate. Scott $75. Estimate $150 – 200. 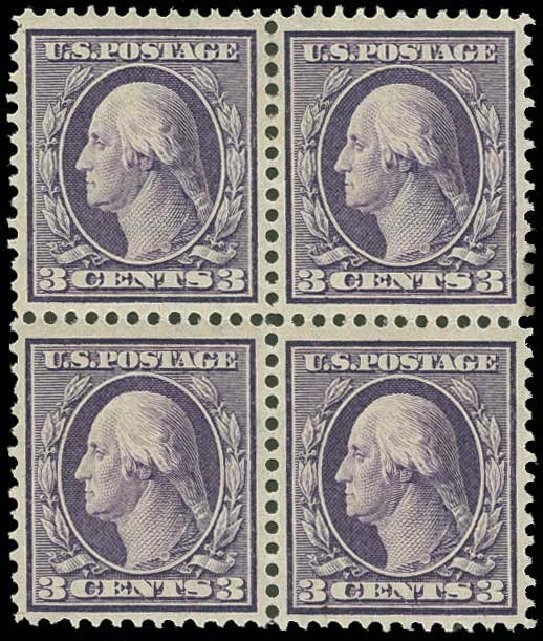 1908, 3¢ deep violet (Scott 333), top plate block of 6, o.g., hinge remnants, handsome full wide top with brilliant fresh color, Fine. 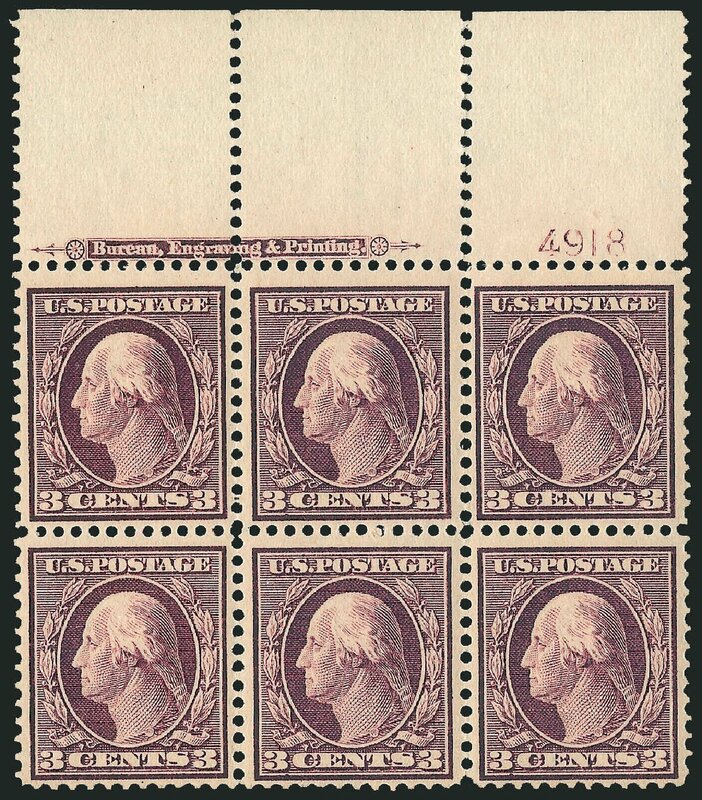 Scott $400. Estimate price $100 – 150. 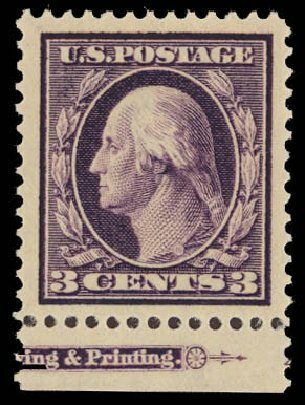 1908, 3¢ deep violet (Scott 333), bottom margin part imprint single, o.g., never hinged, sensational stamp, with massive boardwalk margins, gorgeous rich color, a most impressive example that rarely comes with margins like this, Extremely Fine. 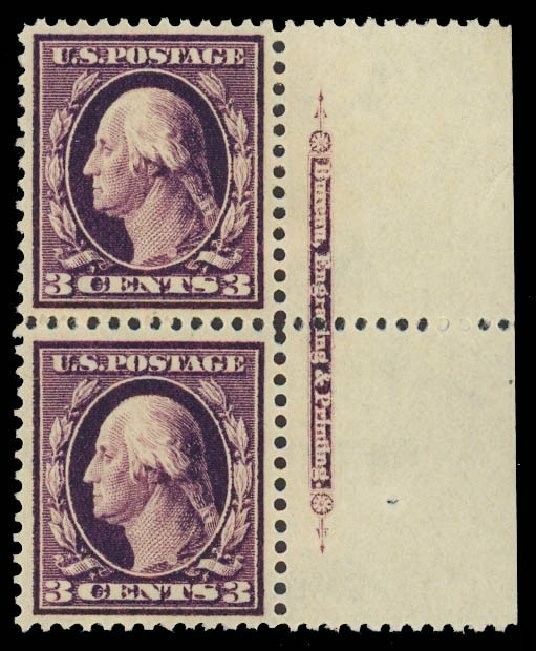 Scott $75. Estimate value $200 – 300.